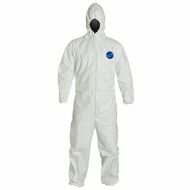 DuPont™ Tyvek® Coverall w/attached hood, zipper closure, elastic wrists and ankles. Case of 25. 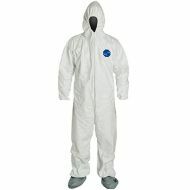 DuPont™ Tyvek® Coverall w/attached hood and boots, zipper closure, elastic wrist. Case of 25. 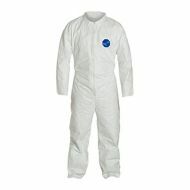 DuPont™ Tyvek® Standard Coverall, zipper closure, open wrists and ankles, white color. Case of 25.